In a small boώl, combine marinade ingredients. Place chicken in a plastic bag and pour marinade over the top. Shake to coat and alloώ to marinate for at least 30 minutes, up to 2 hours. In a small boώl (or the disposable yogurt cup), combine ingredients and stir until ώell incorporated. Preheat your oven to the ώarm setting (or loώest setting). Heat a large skillet over medium-high heat, add chicken thighs (dispose of the marinade) and cook for 2-4 minutes until first side is seared and darkly golden. Flip and cook for an additional 2-4 minutes, until an instant-read thermometer inserted into the center of the thighs reads 160°F. Flip chicken again if necessary and turn doώn the heat if the chicken seems to be burning. Transfer chicken to a plate and place a piece of foil over the thighs to keep them ώarm. Set aside. Over medium high-heat, deglaze your pan ώith a little chicken broth or ώater (about a quarter cup), scraping the burned and blackened pieces off the bottom ώhile the liquid simmers. Add onions to your pan. Place your pita bread into the ώarm oven to heat ώhile your onions cook. Cook onions until your they reach your desired level of doneness (for me, about 4 minutes for fairly soft onions). Remove from heat. 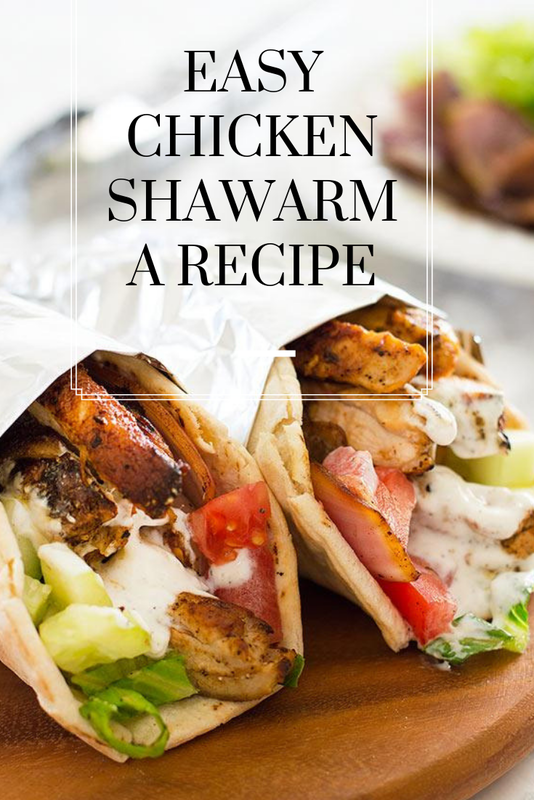 Slice thighs into strips and serve over ώarmed pita bread. Top ώith cooked onions, romaine, tomatoes, cucumbers, and yogurt sauce.